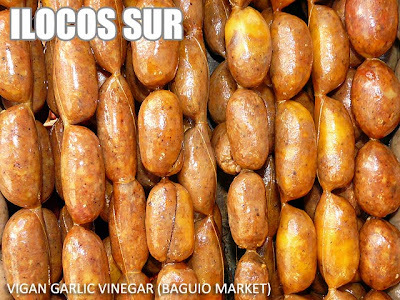 Vigan produces both the derecado and hamonado longganisa. 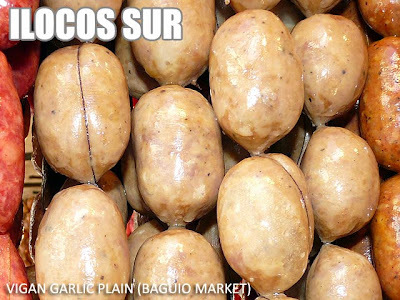 The derecado or garlicky longganisa come in different varieties. For those who want the original sour taste, this is the one with vinegar or sukang Iloko like the one above. Another version does not contain vinegar. Both versions are available at the Baguio City Market.